This was such an exciting project. 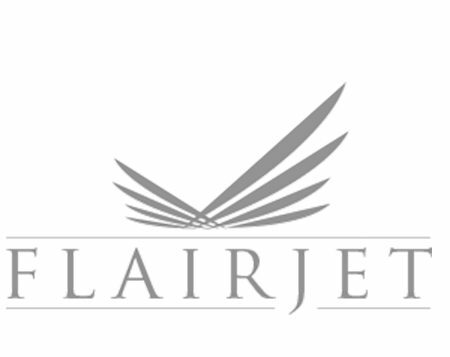 Flairjet are a private aviation company delivering bespoke aircraft management services from private jet charter, pilot training and aircraft acceptance to deliveries. Having worked with them for many years we were delighted when they asked us to look at their branding. It’s not every day you’re invited to brand a plane! We guided them through our unique brand mapping to uncover the key brand attributes and business objectives. This helped us update their branding and get it back on the right (flight) path. It resulted in a design that’s simple yet aspirational. The wings reflect the stripes reserved only for the elite, which is the whole essence of the brand. It also provides the business with a look and feel that’s much more in tune with the exceptional experience you can expect when flying with Flairjet.